The Practice of the Presence of God is a classic of Christian literature, loved by Catholics and Protestants, praised by the likes of John Wesley and A.W. Tozer. During a troubled time, novelist Ken Kuhlken discovered the book helped him find some peace and promised even more if he could fully understand. 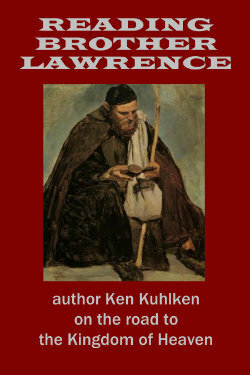 Reading Brother Lawrence chronicles his search for understanding. This trade quality paperback is especially for readers of thoughtful memoir whose lives have included a search for meaning.